You have to consult a provider that works with air duct cleaning Houston because your home’s indoor air could be several times dirtier than what you’d find outdoors. This is due to the dirt, dust, pollen and other kinds of bacteria that can get in your air ducts and HVAC system and move around throughout the entire body of your home. You have to clean your carpets and furniture regularly while also making sure that your air ducts are covered well. You can contact us at (number) for help with getting your air ducts taken care of. This is to help you with keeping your home secure without risking issues from your home’s air being impacted by all sorts of harmful materials in your vents. Who Can Help With Air Duct Cleaning in Houston, TX ? We can help you out by cleaning out your air ducts. We will sanitize everything and handle your HVAC system to keep the central part of your heating and air system under control. In fact, you can get many things like the supply and return ducts, drip pans, fan housing unit and heating and cooling coils cleaned out. This helps to keep the air in your home clean from the inside out. We will work with trained professionals who have been certified by the National Air Duct CleaningAssociation to help with cleaning out your home. Our professionals are fully trained because they know that a clean series of ducts and a clean HVAC system will make it easier for your home to get the cooling or heating functions it needs. It can even cause your HVAC system to work for a longer period of time. 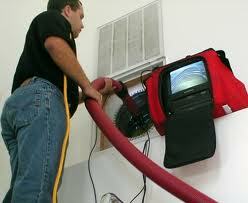 Our services are some of the best air duct cleaning services you could be using. The air in your home will be easier for you to handle when you get your air ducts cleaned. This is particularly needed for places with elderly residents, children and those with asthma or allergies. In fact, it will be harder for people to become sick when they are in buildings that have clean air inside of them. This is particularly necessary for places with plenty of people who can be there at a given time. When to Get A Professional Air Duct Cleaning in Houston, TX. You need to get your place cleaned if you have smokers living there. Homes with pets that can shed plenty of dander need to be handled too. You have to get help if your HVAC system has been damaged or has become contaminated with water. People who have allergies or asthma particular need help with this system. Places that have been remodeled or renovated need to be cleaned. You also need to get your ducts cleaned if you are moving into a new home that hasn’t been used for a while and could have things building up in the ducts. How To Keep A Clean Air Ducts? Make sure your carpets, upholstery and rugs are vacuumed regularly. A vacuum with a HEPA filter is strongly recommended. Get all window coverings vacuumed and dusted. Professional cleanings are often required. Make sure dryer sheets are used when dusting materials instead of a cloth so you don’t have to worry about the dust in an area moving into your ducts. You can wash bedding materials in your home with hot water while also using dust mite-resistant materials. Change all filters in your home regularly. Avoid smoking indoors so chemicals from smoke will not move around the air. Keep all air vents and grills open. Use a dehumidifier in your home to keep the moisture content from being strong. You also need to clean your dehumidifier regularly. Store any foods in your home the right way. Water all plants in your home and keep them healthy. 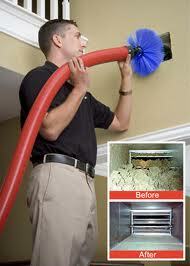 The best thing to do for your home is to make sure all your air ducts are cleaned. Quality air duct cleaning services that Houston can help you out with keeping your home safe from the risks that come with the pollutants that can get into your home. Air Duct Cleaning Services Houston – Contact Us Today!